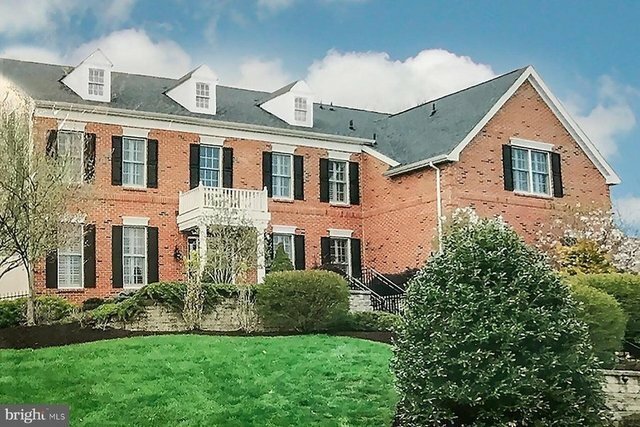 Welcome to this Stately Brick Colonial in Berwyn Estates, beautifully landscaped and custom touches throughout make this a superior to many. This five bedroom, four full & one half bath home is in TE School District, Beaumont Elementary, TE Middle and Conestoga High! Center hall design with a soaring turn staircase in the grand two story entrance. A formal living room is open into a formal dining area with tray ceiling, custom window treatments, accent molding and grand pillars between the rooms. French glass doors lead you into the study with handsome built ins. Plantation shutters, crown and accent moldings, custom closet designs, and custom cabinetry are among the many upgrades in this home. A gourmet white kitchen with granite counter tops, double ovens, gas cooking, expanded walk in pantry, a family command center and wine refrigerator. An eat in breakfast area adjoins the kitchen & has access to a new Trex deck overlooking the paver patio and private backyard. The two story family room has a wall of soaring palladium windows covered with UV protection drenching your family room in natural light and giving you a spectacular view of the gardens and fully fenced back yard. A family mudroom entrance off of the oversized three car garage also leads to a separate laundry room where you can hide your daily chores. A master suite with large spa like bath, sitting are and custom designed walk in closet is nicely separated from the three additional bedrooms on the second floor. Two bedrooms share a large Jack and Jill bath layout. The third bedroom has an en suite full bath and walk in closet. Completing this home is the great space in the lower level which has been finished with a fifth bedroom suite with full bath and walk in closet, a game area, full lower level family room with built in entertainment area and complete wet bar with granite counter tops and wine rack. Great location convenient to shopping, airport and award winning schools.